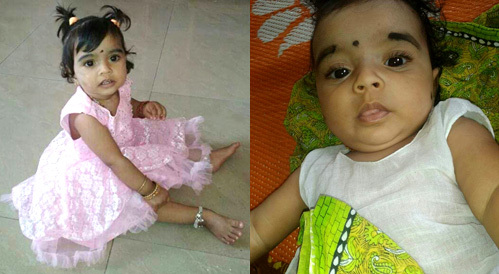 Creezel Fernandes (1 year and 3 months old), daughter of Anil Prakash Fernandes and Anitha Nelsin Fernandes, lies in critical condition and admitted at ICU, KMC Hospital, Manipal. Creezel need to undergo major surgery at KMC Hospital for critical ailment. The family seeks financial help from kind-hearted people who wish to give a little baby a new lease of life.